Franchise giant Hunters says independent agencies which joined the firm in recent years have typically beaten the performance of the housing market. Chief executive Glynis Frew, in a report on Hunters’ performance, claims that since 2014 businesses have been able to improve through working with the firm. “Against a market down 15 per cent in 2017 the revenue per branch has beaten the market by 10 per cent on average each year. For branches that joined in the three years to December 2015 their revenue is up, on average, by 29 per cent” she says. The firm ended 2018 with 223 branches and says there is a pipeline of 27 new branches being processed with enquiry levels on target to exceed those of 2017. “We have expanded the team further to improve the process and allow more ongoing support. Our marketing plan is heavily focused on direct marketing to suitable independent businesses, increased online presence and existing franchisee expansion are integral elements of this growth” says Frew. Hunters’ 2017 figures show that income rose 10 per cent to £38.9m (2016: £35.4m), with revenue increasing by three per cent to £14.2m (2016: £13.8m) and EBITDA up by eight per cent to £2.23m (2016: £2.06m). Pre tax profit was up four per cent. Hunters opened 37 new branches including the conversion of 15 independent estate agency branches and the acquisition of the Besley Hill franchise network. This contributed to a total of 213 branches as of December 31, up from 186 branches in 2016. 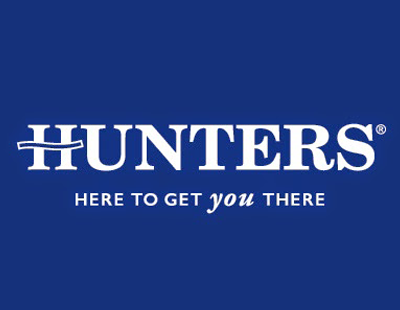 In the past four years, Hunters has opened 30 or more new branches per year.